Editor’s Note: A video of San Luis Obispo County Supervisor Bruce Gibson asking to give the state control of the Paso Robles basin follows the article. One of the most outspoken advocates of a failed North County water district plan, San Luis Obispo County Supervisor Bruce Gibson, said Tuesday he believes control of the Paso Robles basin should be relinquished to the state. The supervisor spent the last two years advocating for “local control” of the basin. 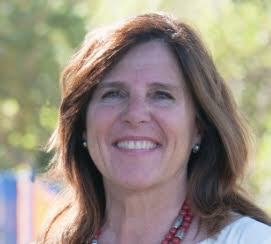 Gibson also criticized voters who recently turned down the district proposal by a nearly 8-2 margin, saying, “The North County vote has put this county in an untenable position.” Gibson said the county cannot afford to manage the basin, despite the expenditure of more than $1 million by the county to nurse the plan into existence and then to an election. Gibson’s suggestion, made during the supervisors’ regular meeting’s public comment period, earned him stern rebukes from two of his fellow supervisors. The county has five water basins which the state now require have additional management, two of which are in significantly worse shape than the Paso Robles basin, Supervisor Debbie Arnold said. Arnold wants the county to retain local control of all five basins. “We would never shirk our responsibilities to do this work (manage the basin through the county’s Flood Control District) on behalf of the citizens, to simply throw it all to the state,” said Supervisor Debbie Arnold. 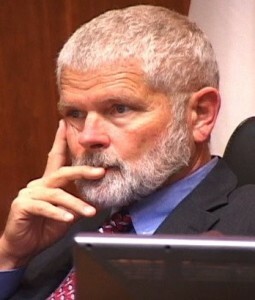 Gibson and fellow supervisor Adam Hill, who also tirelessly promoted the district’s formation, floated a motion to direct county staff to prepare an analysis of the five water basins in San Luis Obispo County with emphasis on the Paso Robles basin with a goal of handing management of the Paso Robles basin to the state. That motion was defeated 3-2, with Frank Mecham joining Arnold and Compton. Mecham said he plans to travel to Sacramento next month and hopes to learn what a state takeover of a water basin would entail. How would state seize Paso Robles water basin? I would love to know why Gibson really wants the state to step in, there has to be something in it for him. Bruce drinks wine from all over the state and world so he is jus covering his bases. Folks…this is who the left is. They despise the Voters and think they are stupid. When they speak and turn down the Liberal’s agenda…they are mocked. This has nothing to do with Gibson being “left” – it has everything to do with Gibson being an idiot. The left does not have a monopoly on idiots. Calling an elected official an idiot is SERIOUSLY underestimating the enemy. Yes, this guy is an enemy of the people of this county, but he is not stupid. Someone needs to run against these dirtbags that isn’t part of their little cartel. It CAN be done, look at AG. Gibson kinda looks like Gollum with a beard, and Hill looks like a dispeptic hobbit. Just thought I’d point that out…. This is par for Government today, if they don’t like the vote then other avenues are explored (government vs voters). No this: 1. The State of California is financially less solvent than our Incorporated County of San Luis Obispo. 2. California is behind in their record keeping and if you were to call the office that complies the records for wells in our area, 559-230-3356, you’ll find that they are at least a year out on their GIS mapping for the wells in a given area. 3. The best the soar losers can do is to spend more tax dollars to fund an outgoing Supervisor to do reconnaissance for the State (boondoggle) in order to improve our being a “Self Help County”, politically correct for you are on your own because the State is broke. This is a big problem and we will have to defend our rights so that Government’s wasteful spending doesn’t process more Taking For The Wasting. 4. GOVERNMENT WANTS MORE DEVELOPEMENT AND NEEDS YOUR WATER.